ASU police investigate the death of a homeless man in parking lot No. 55 on the eastern edge of campus in Tempe on Monday. ASU police are investigating the death of a homeless man who was found unresponsive on a campus parking lot early Monday morning, but don’t suspect foul play was a factor, according to a University spokesperson. Fire department personnel pronounced the man — who has not been identified yet — dead on arrival in parking lot No. 55, after a call came into dispatch at 5:43 a.m. Monday morning, according to the spokesperson. The lot is on the eastern edge of ASU's Tempe campus. Police have not said how the man was found or who called 911. Part of the parking lot was closed off Monday morning due to the ongoing investigation, but all University buildings in the area remained open, according to ASU police officers on the scene. The ASU police department is leading the investigation because the incident happened on University property. The lot reopened midday Monday. Editor's note: this story will be updated as more info becomes available. 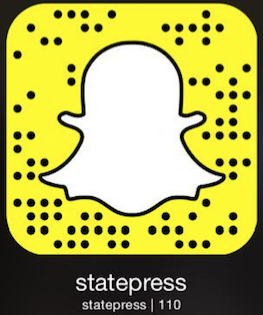 Reach the reporter at reillykneedler@gmail.com or follow @reillykneedler on Twitter.Like State Press on Facebook and follow @statepresss on Twitter.